At Auburn Ravine Terrace we offer residential living, assisted living, rehabilitation, and skilled nursing. We have answered some frequently asked questions for residential living and each of our levels of care on this page. Residential living, also known as independent living, is a community designed for those 62 and older that desire a care-free lifestyle and social engagement. Pricing options and availability can be found in our marketing office. Click here to contact us today to learn more! What languages do you speak at Auburn Ravine Terrace? At Auburn Ravine Terrace at least one member of our staff speaks Spanish, Tagalog, Ukraine, Russian, Thai, and Jordanian. Residents may reserve the activities lounge for special events with notice. Please contact the front office if you would like to reserve this space. Each residential living apartment home has a full kitchen and is equipped with full-size kitchen appliances, such as a refrigerator and stove. Yes, Auburn Ravine Terrace is a pet friendly community. At Auburn Ravine Terrace we understand that pets are family too. If you would like a pet friendly apartment, please contact the marketing office for options and to review our pet policy. Pets are also permitted to visit, as long as vaccination records are up to date and pets are kept on a leash and under the control of their owner. All resident parking spots are assigned. Guests may park in spaces designated for visitor parking only. At Auburn Ravine Terrace we have a beauty and barber shop. Hours, services, and appointments can be made through the front desk. To learn more about our beauty and barber shop click here. Wi-Fi Internet is provided in public areas for residents and their guests. Please inquire with the front desk for internet installation for individual apartments. Each apartment is equipped with telephone hookups. If you would like telephone service we can help you set it up through the phone company. Residents are welcome to bring their own mobile device. Is there access to satellite television? We offer access to basic satellite television for all residents in their apartment homes. Residential apartment homes do not come furnished with televisions. We believe events and activities enrich our residents’ lives and have a powerful impact on one’s overall health and wellbeing. We create a fun, uplifting environment where our residents can be social, get involved, and enjoy their favorite hobbies and activities. We deliver a monthly calendar to each resident to inform them of upcoming activities, and copies of this calendar can be obtained at the front desk. Click here to view our online activities calendar. For the safety and health of our residents and staff, Auburn Ravine Terrace is a smoke-free community. We do, however, have a designated smoking area outdoors. Please ask the front desk for the location of the designated outdoor smoking area. At Auburn Ravine Terrace we have a full-time business office manager. Our business office manager will answer any questions you may have regarding financial or billing concerns. To make an appointment with our business office manager, please contact the front desk. Assisted living is housing for those 62 years and over that provides assistance with activities of daily living. We offer housekeeping, laundry, and various other services to help each resident attain their highest level of independence. Our friendly and professional staff cleans each apartment once a week. If alternative measures must be taken, please contact our front office. Pricing options and availability can be found in our front Office. Click here to contact us to learn more. While our community does not allow pets to live in the assisted living apartments, pets are always welcome to visit. We ask that each pet have their vaccination records up to date and be kept on a leash and under the control of their owner when in public areas. Yes, residents may reserve the activities lounge for a special event with notice. Contact the front office if you would like to reserve this space. We offer access to cable television for all residents in their rooms. Assisted living apartments do not come furnished with televisions. Assisted living apartments do not come with full kitchens. At Auburn Ravine Terrace we provide our residents with meals and snacks. At Auburn Ravine Terrace we provide 3 well-balanced meals and snacks for our assisted living residents in a restaurant style atmosphere. Our chef works to create flavorful and nutritious food, and we also accommodate special dietary needs for residents with a physician’s order. We believe events and activities enrich our residents’ lives and have a powerful impact on an individual’s health and well-being. We create a fun, uplifting environment where our residents can be social, get involved, and enjoy their favorite hobbies and activities. We deliver a monthly calendar to inform each resident of upcoming activities, and copies of this calendar can be obtained at the front desk. Click here to view our online activities calendar. For the safety and health of our residents and staff, Auburn Ravine Terrace is a smoke-free community. We do, however, have designated smoking areas outdoors. Please ask the front desk for the location of the designated outdoor smoking area. 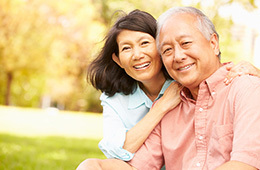 Auburn Ravine Terrace has open visiting hours, based on the well-being of our residents. If you would like to visit before 8am or after 8pm please call in advance to ensure access. If you would like us to do your laundry please notify us upon admission. Family members can, of course, take care of their loved one’s laundry. If your family member will be washing your laundry please provide a hamper with a lid and ensure it is picked up at least twice a week. Yes, residents may reserve the activities lounge for a special event with notice. For the safety and health of our residents and staff, Auburn Ravine Terrace is a smoke-free community. We do, however, have designated smoking areas outdoors. Please ask the front desk for the location of the designated outdoor smoking areas. Always consult with the nursing staff before bringing food to residents. Many of our residents have physician-ordered specific diets with limitations. Any food kept in the resident’s room must be dated and stored in properly sealed containers. We follow physician orders to meet the needs of each resident, while making sure the meals are enjoyable and full of flavor. We also administer oral supplements, as prescribed by physicians, and provide regular nutritional assessments by our dietitian. Residents are more than welcome to bring their cell phones, and all of our rooms are equipped with a telephone hookup. Please inquire about service activation. There are also cordless telephones at each of the nurses’ stations that are available for resident use. When you arrive at Auburn Ravine Terrace you will be assessed and assigned a customized treatment plan. Each plan varies based on the needs of the resident. Residents are more than welcome to bring their cell phones, and all of our rooms are equipped with a telephone hookup. Please inquire about service activation. There are also cordless telephones at each of the nurses stations that are available for resident use.